Tomorrow is the second Sunday in March, and you know what that means. It’s time for everyone to be grumpy and miserable by missing an hour of much-needed sleep in the wee hours between Saturday night and Sunday morning (unless you live near the equator or in Arizona, where there is no daylight savings plan). At 2 AM early Sunday morning, you move your clock ahead by an hour. Or, you can do what I do and just do it when you get up the next day (or before bed on Saturday, whichever is easiest for you). 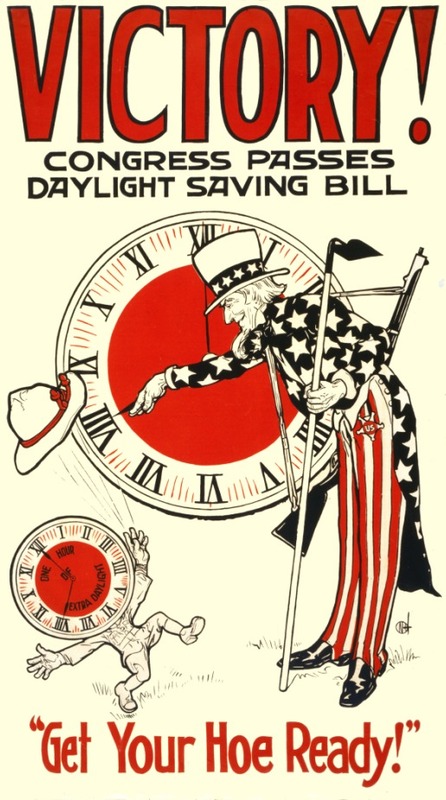 Did you know Daylight Savings has only been around in the US since World War I? That’s one of many interesting DST facts I found out. Yeesh, it seems like just a few months ago we were rolling clocks back an hour. Now we’re taking that hour back. Everyone wave goodbye to our weirdest winter in years!